Passionate about preparing students for the world's digital information economy, one that demands collaboration, digital literacy, critical thinking, and public speaking skills over rote memorization, Associate Professor of Applied Psychology Allison Butler, Ph.D., is sharing this new approach to teaching and learning, the essence of Bryant's Innovation and Design Experience for All (the IDEA program) with a school in Providence. "We have been pushing them to see critical feedback as ... a gift they can use to improve their skills." 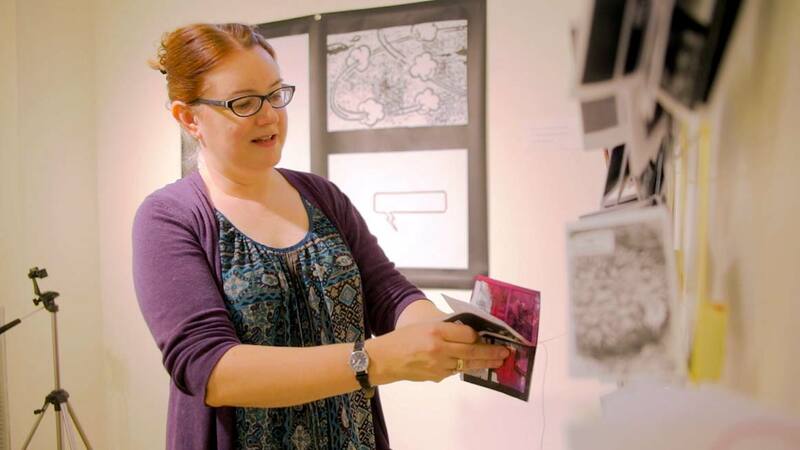 During her sabbatical, Butler collaborated with faculty and staff at Lincoln School, an all-girls' Quaker school, to develop a three-day program to teach design thinking skills. 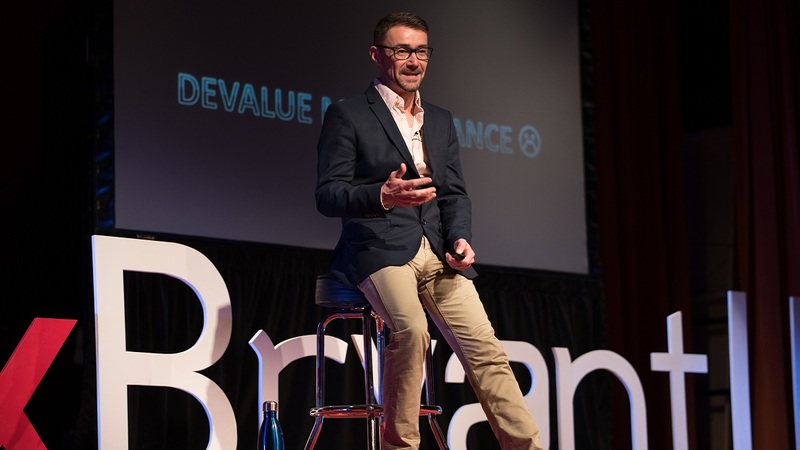 With a research component and a professional development faculty workshop, Innovation Nation was adapted to be developmentally appropriate, said Butler, who co-teaches Bryant's Design Thinking course. A former fifth-grade teacher, Butler brought Innovation Nation to the entire middle school – 81 students and about 15 faculty and staff members. Students learned the habits of mind that design thinkers use – giving, accepting, and digesting critical feedback; pitching ideas; revising one's work and failing early to succeed sooner, said Butler, a Lincoln School trustee and Alumnae Association president. With team projects as the context, design thinking is the methodology that leads to a "rich, excellent way to be a successful learner, and an innovative thinker and problem-solver," she said. 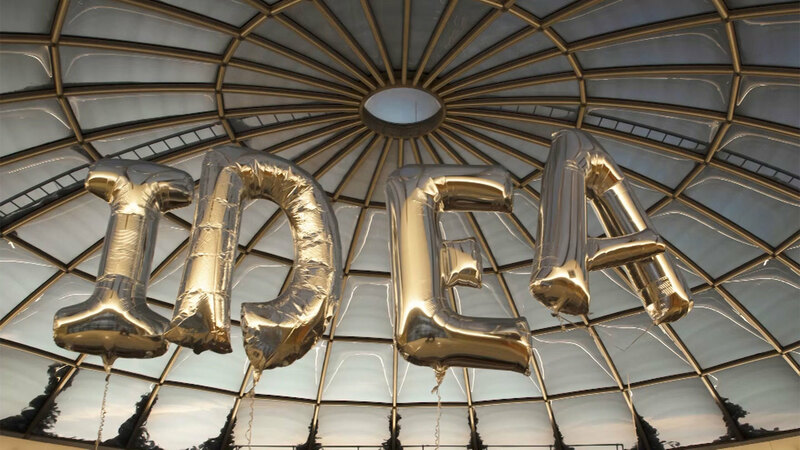 By teaching design thinking skills learned and honed through IDEA and Design Thinking, several Bryant students enhanced their own expertise and skills. 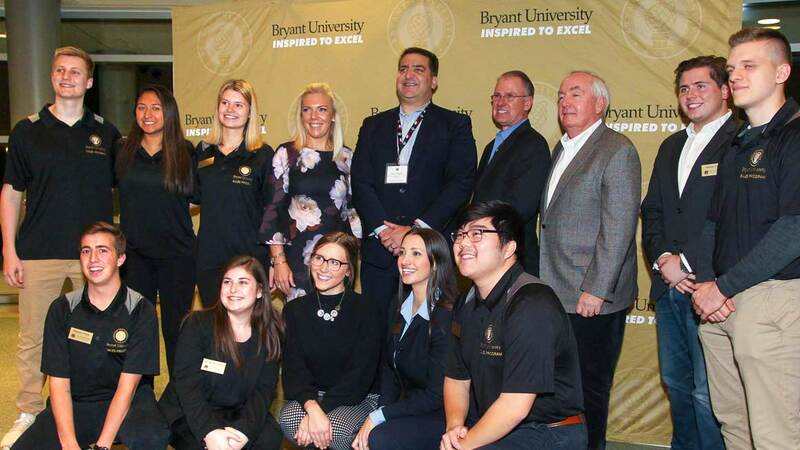 Helping to create and deliver Innovation Nation was a powerful real-world opportunity for these students, who masterfully navigated their teaching roles, says Butler. Working with Butler were her IDEA colleagues Trustee Professor of Management and Director of the Center for Program Innovation Michael Roberto, D.B.A., Management Professor Lori Coakley, Ph.D., and Associate Professor of Applied Psychology Heather Lacey, Ph.D. Unlike the traditional educational model – identifying the right answer as quickly as possible – design thinking fosters brainstorming, says Nina Luiggi '18, an Applied Psychology major who is Innovation Nation's research assistant. Teaching these skills gave her a newfound respect for teachers, said Luiggi, who has landed a design thinking internship in San Francisco. "I jumped at this opportunity," says Matthew Sugar '17, an IDEA mentor who credits the experience with helping him develop his communication and leadership skills. "These girls are so impressive. At 12 years old, they're incorporating the language of design thinking…but they need the push … to learn from feedback," says Jaclyn Kline '17, who has a fresh perspective after seeing these students grapple with design thinking concepts. Andrew Pitman '18 and Kevin Arbeiter '18 also were student members of the Innovation Nation. The Lincoln School students were quick learners. Sixth-grader Ava Oliveira rattled off design thinking concepts – empathy, define, ideate, prototype, and test. Grace Boghosian, an eighth-grader, preferred to complete assignments quickly until she learned that iteration and revision lead to better outcomes. Surprised to discover that the design thinking process never stops, seventh-grader Isabel Berkenblit initially rejected, but now appreciates, critical feedback. In the program's research component, Luiggi, Butler, and Lacey will evaluate the girls' mastery of design thinking, willingness to seek out critical feedback, creative self- and team-efficacy, and development of a growth mindset, said Butler, who sees Innovation Nation as highly replicable.